Like many young girls growing up in a basketball-centric world, Kaela Davis grew up dreaming of playing for Tennessee. The 6-foot-2 wing player was born in 1995, just in time for the Lady Vols’ National Championship three-peat of 1996-98. Those childhood dreams have shaped Davis’ life and what she wants her college basketball career to mean. But on Thursday she announced she wants to build those dreams for the next generation at Georgia Tech. “I want to make it where little girls grow up wanting to go to Tech,” Davis said. 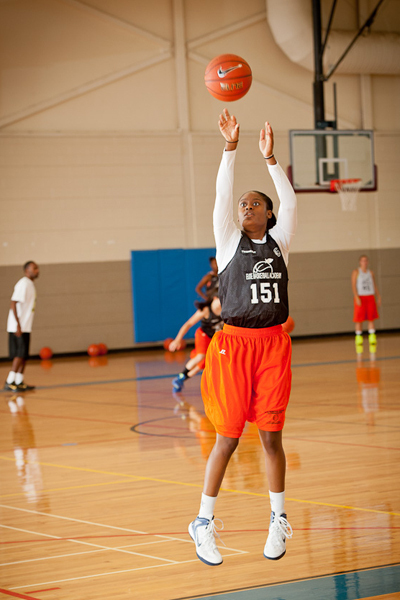 Davis, a senior at Buford High School (Ga.), committed to Tennessee June 1, 2010, but reopened her recruitment this February. 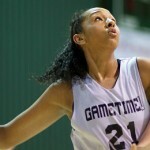 She made unofficial visits to Duke, Georgia and UCLA as well as making official visits to Georgia Tech and Tennessee. Davis got some reassurance from her peers along the way as well. But Davis looked to the advice of her family and actually a legendary Tennessee alum, Candace Parker, for advice in seeing through pressure and hype and filtering out what were her real factors. 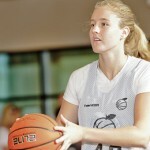 What Davis found in Georgia Tech was a balance of academics, a rising basketball program she could make an impact in and a supportive environment within the team that ultimately made this decision easy enough to call off i will do your homework for money her prior intention to wait until the spring to commit. But it wasn’t easy to reengage in a recruiting process she never really started having committed in 2010. “I had to do a lot more than I thought I would,” Davis said. But perhaps Davis is a product of a recruiting class that is willing to blaze a new trail. The past two recruiting classes Connecticut, Duke, Notre Dame and Tennessee have claimed all but one of the 10 players drawing a top five ranking. The sole player deviating from the elite trend was Krystal Forthan who chose LSU and has since transferred. Even with the nation’s top prospect, Mercedes Russell of Springfield, Ore., choosing Tennessee this week, the diversity of where the 2013 class’ truly elite players are choosing is making for the help research paper a suspenseful recruiting race to signing week. In addition to Davis becoming a Yellow Jacket, the No. 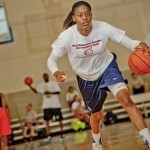 3 player in the class, DeShields of Norcross, Ga., bucked recent trends by committing to North Carolina and No. 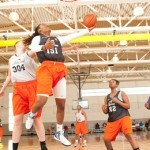 5 Linnae Harper of Chicago, Ill., recently committed to Kentucky. All these up-and-coming programs are hoping this 2013 class is the catalyst for big things much the way Baylor surged in recruiting in 2009. By landing the game-changing Brittney Griner, the top ranked player, the Bears set themselves up for greatness when the program’s encore was signing the top point guard in the 2010 class, Odyssey Sims, who was ranked No. 3 overall. Joseph and her staff have been recruiting well for some time. The Jackets signed the No. 9 overall class in the 2012 class; the 21st ranked class in 2011; 28th in 2010 and 43rd in 2009. money can t buy happiness essay The trend has nearly been in stride with the team’s winning, starting in her first season, 2003-04, when the team went 14-15, to last season’s 26- season where the team made it to the Sweet Sixteen and finished tied for third in the ultra competitive Atlantic Coast Conference. Davis hopes she can be a part of the next step and maybe the next generation will dream of following in her footsteps. Chris Hansen is the managing editor for Peach State Media. 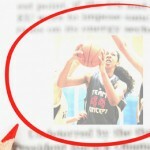 In addition to serving as a contributor to the JumpOffPlus.com National Scouting Report, Hansen also covered girls’ basketball and women’s college basketball prospects nationally for ESPN.com. A graduate of the University of Washington with a communications degree, he has been involved in the women’s basketball community since 1998 as a high school and club coach, trainer, evaluator and reporter. He is a member of the McDonald’s All-American team selection committee. He can be reached at chrishansen@peachstatebasketball.com.